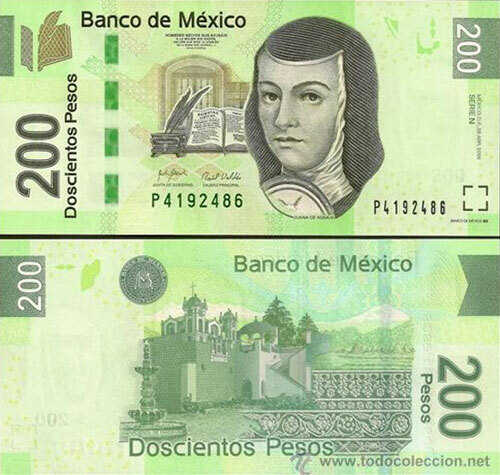 Mexican Currency is called the Peso. 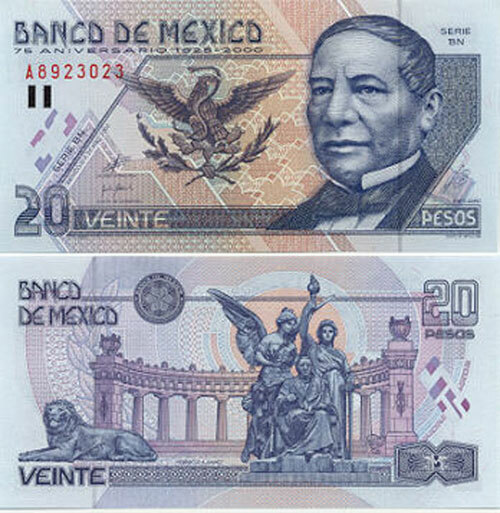 Below are the Mexican Peso notes currently in circulation. 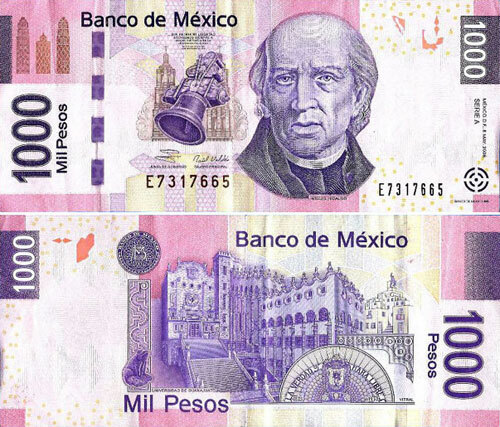 The 1000 Peso note is a rare find and may not be accepted at all outlets in Cancun. Guard your small change with your life! Nobody seems to have change and you are almost always asked for the odd peso or two to round up or down. It almost seems to be a competition to see who can break down the larger notes and hoard the highest number of small notes – be a part of it – they will come in useful! 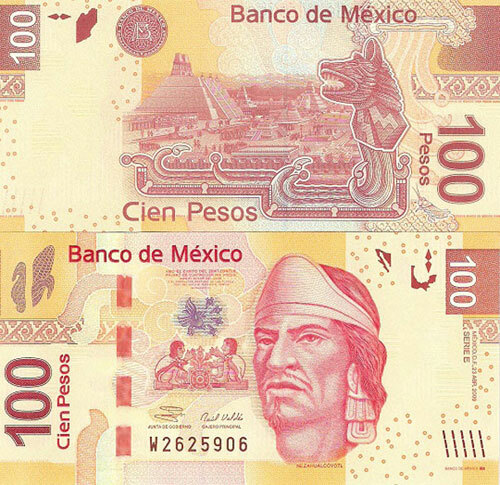 The symbol for Mexican currency is the Dollar sign $. 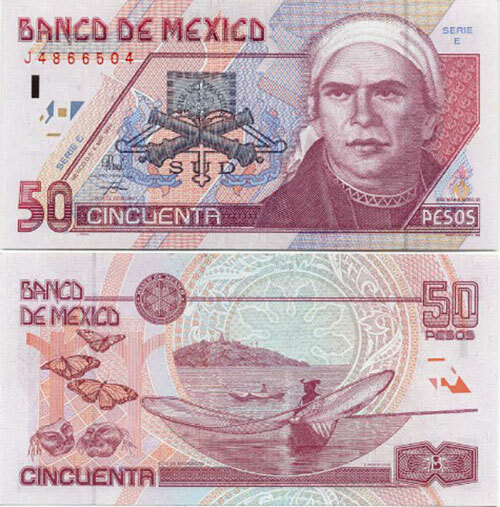 In Cancun both currencies are commonly used in the tourist areas. 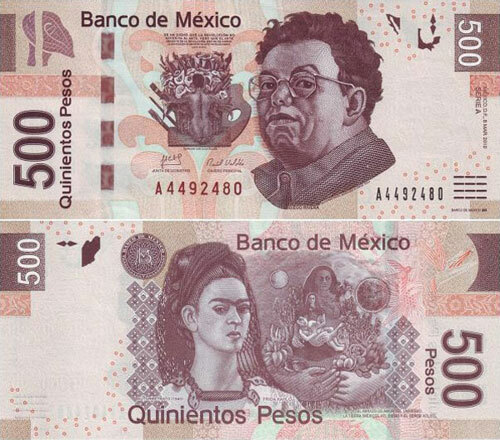 It’s important to realize therefore when it is being used to denote USD and when it is being used to signify Pesos. In addition to the Peso notes below there are coins in denominations of 1, 2, 5, 10 and 20 pesos. The 20 peso coin is pretty rare. One peso can be split into 100 centavos and these coins come in denominations of 10, 20 and 50 centavos. Centavo coins are particularly useful for the bus in Cancun which costs 12 pesos. Use them while you can, there is not much other use for them, even kids don’t pick them up if they find them!